“Join us as we unveil our plans for the revival of our beautiful island. 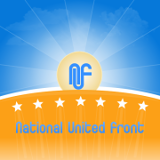 Come and hear what we have to offer and also play your part in national development” said a statement from the National United Front which explained that the event will begin from 1:00pm. It is expected that the official executive will be elected and three of the candidates will be contesting the February 19th General Elections. The interim leader is former Member of Parliament for the St George South Glynnis Roberts who represented that constituency in the Parliament following the 2003 and 2008 general elections. She was among ten who was expelled from the Party in September. As a political movement the NUF said in its statement that it will focus on increasing job opportunities through local and foreign investors; developing an agricultural infrastructure to sustain local demand and at the same time expand in the regional and international market. “Improved health care and physical facilities to patients. Increase SGU intervention and consultation with the Ministry of Health to further and expand services currently minimal or altogether nonexistent,” said the statement which said that there will also be focus on upgrading the efficiency at the General Hospital and other clinics. In the area of Education the NUF said that it will be working to promote education and programs to develop the youth with regards to new and emerging technologies. In the area of Tourism the party will be furthering the reach of our tourism industry by working with hoteliers, airlines, craft vendors and farmers et al. to help them achieve their objectives and grow their businesses. It is also promoting Social programs to support those with special needs and others with extraordinary needs and developing cultural activity to boost the local economy and increase tourism options.